Fresh shipment of fusing glass just received! Approx 5 oz of assorted coe 104 fusing glass colors that were broken during shipment from Murano, Italy. If you do not need a complete sheet or want to test colors and can use smaller pieces, this is a bargain! All of our fusing glass is coe 104. Yellow is more of a marigold yellow. Size of each glass sheet is approximately 4-7/8" x 4-7/8". (Some sheets might be more.) In order to avoid a boxing and packing charge, sheets cut in this size. The Smokey Topaz is the item on the bottom left. The Pale Pink is on the top and the Bronze is the bottom right. In order to avoid a boxing and packing charge, sheets cut in this size. Size of each glass sheet is approximately 4-7/8" x 4-7/8" or approx 4" x 6-1/4". (Some sheets might be more.) In order to avoid a boxing and packing charge, sheets cut in this size. Fusing Glass Sheet-104 COE-Opaque Periwinkle Fusing Glass Sheets..Cobalt Blue Transparent Crystal Coarse Frit - Back in stock! This cobalt blue glass is "translucent" in that it is not opaque and not as transparent as our regular transparent fusing glasses. No exchanges, no refunds. Finally back in stock! Coarse transparent crystal frit perfect for fusing or mosaics. 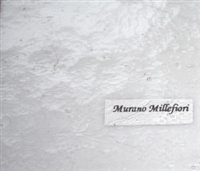 Use it in fusing, lampworking or as filler or background in mosaics and with our jewelry blanks. "Special Purchase" - These slices are cut from clear coe 104 fusing rods. These are great for mosaics or small fusing projects. "Special Purchase" - These clear slices are cut from clear coe 104 fusing rods. "Special Purchase" - These opaque black slices are cut from clear coe 104 fusing rods. Coarsely crushed opaque millefiori patterns. Coarsely crushed transparent millefiori patterns. Coarse opaque amethyst frit perfect for fusing or mosaics. Coarse transparent amethyst frit perfect for fusing or mosaics. Coarse opaque aqua frit perfect for fusing or mosaics. 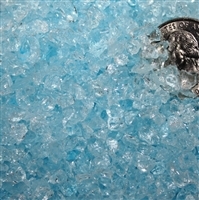 Coarse transparent light turquoise frit perfect for fusing or mosaics. 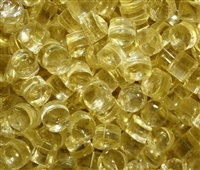 Coarse transparent yellow frit perfect for fusing or mosaics. 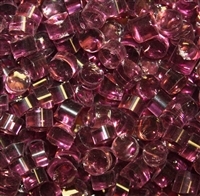 Coarse transparent pink frit perfect for fusing or mosaics. Coarse transparent cobalt frit perfect for fusing or mosaics. Opaque Red-Orange Coarse Frit Opaque Black Coarse Frit Transparent Lime Coarse Frit...Back in stock! Coarse opaque red-orange frit perfect for fusing or mosaics. Coarse opaque black frit perfect for fusing or mosaics. 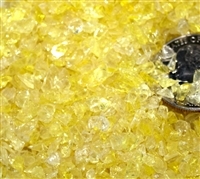 Coarse transparent lime frit perfect for fusing or mosaics. Coarse transparent emerald green frit perfect for fusing or mosaics. Coarse opaque orange frit perfect for fusing or mosaics. Coarse opaque ivory frit perfect for fusing or mosaics. Coarse opaque rust frit perfect for fusing or mosaics.